James Wan’s Aquaman might be a tremendous success in theaters, but that doesn’t mean everybody likes it. Although the critical response has been largely positive, some reviews of the movie haven’t been as kind. As with any movie, some critics are finding faults, putting them on blast with negative reviews. Unhappy with the unkind words about Aquaman, some fans of the movie are taking it upon themselves to defend it through harassment and other kinds of bullying. Aware of how the situation is getting out of hand, Wan took to Twitter to ask fans of the movie to refrain from this behavior, while expecting the very same from the other side. James Wan isn’t wrong here. A difference of opinion about a movie does not justify harassment. Unfortunately, however, this is nothing new. Disagreements about movies have existed since the very first one, and nobody is ever going to make a movie that absolutely everybody will enjoy. Big-name feature films will especially have their detractors, with some rotten apples always taking their critiques a bit too far. Just this year, Jar Jar Binks actor Ahmed Best revealed he became suicidal due to the harassment he received for portraying the Star Wars character. At the end of the day, movies are only meant to entertain, and such ugly behavior doesn’t benefit anybody. Criticism towards Aquaman in particular was to be expected. Most of the movies in the DCEU have been hit with negative reviews, leading to the production of several upcoming movies set in alternate universes. The Aquaman character has also long been seen as a joke by many comic readers, with the concept of an Aquaman movie seeming incredibly unlikely for years. Wan and Jason Momoa seem to have finally given the underwater superhero his due and people across the world are seeing the movie in droves, definitively making Aquaman mainstream. Having surpassed Suicide Squad in worldwide ticket sales, Aquaman is now on track to net $1 billion at the global box office. 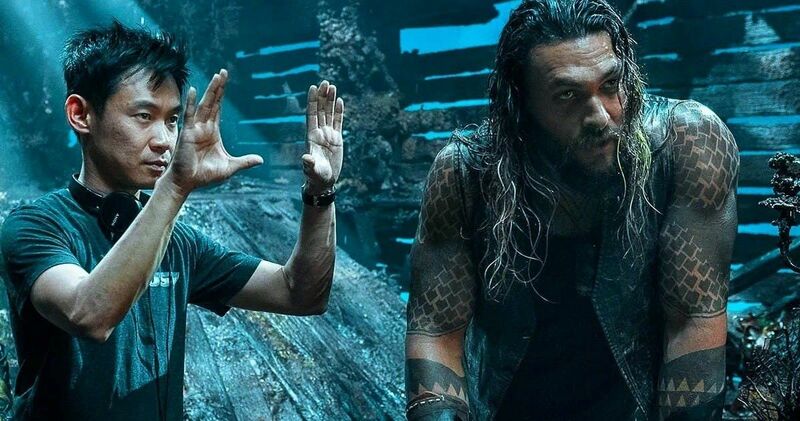 Wan and Momoa are both keen on producing a sequel to Aquaman. Given the film’s amazing success and that the first movie leaves room for more stories, this seems to be a no-brainer. Warner Bros. is reportedly developing a sequel which will continue the adventures of Aquaman, keeping the DCEU alive. While some of the DC characters established in this particular movie universe have been misses, WB has still found some gold in Wonder Woman and Aquaman. The future of similar superheroes like Batman and Superman may be in question, but we can count on seeing Momoa back as Aquaman on the big screen one day. Wan’s Aquaman is currently playing in theaters, raking in ticket sale cash by the millions. If you haven’t seen the movie yet, there’s still time to go check it out. Whether you enjoy the movie or not is completely up to you. Either way, let’s just not be a jerk to those who disagree with us when we share these opinions online. You can take a look at Wan’s original tweet below!